Transportable site offices are open plan buildings which can be used for a variety of purposes and are not limited to just offices. At Instant Transportable Offices, we think of these buildings as a blank canvas, ready for businesses and individuals across Australia to use them as required. If you’re considering hiring one of our portable site offices, speak to a member of our team today. Alternatively, continue reading below for more information. 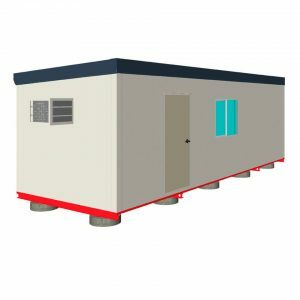 Do you need a portable site office quickly? We can deliver within 24 hours. From one day to ten years, let us know your needs and we’ll provide you with a competitive quotation to suit. Thinking you’d like to own your building but not right now? That’s fine. Talk to us today about our hire to buy options. Select a building size below and add it to your quote request. A member of our team will come back to you straight away with firm pricing including delivery and any other setup options you may require. For more information on our range of portable site offices for hire, contact us today on 1300 556 241.